She specifically pushed an all-out rejection of the NRA and called for Congress to add the no-fly list to the National Instant Criminal Background Check System’s (NICS) list of prohibited buyers. 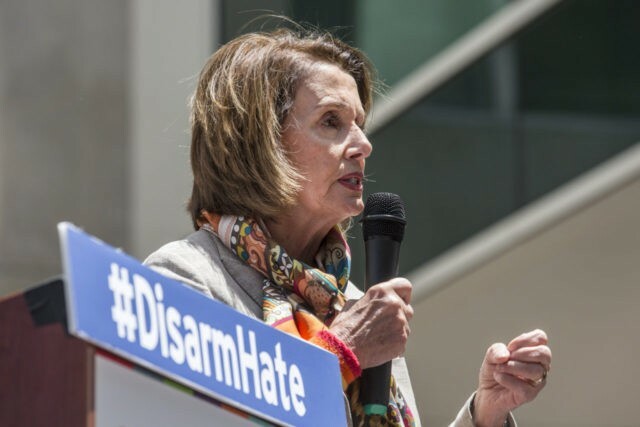 Pelosi said, “If you’re on the no-fly list, then you belong on the no-buy list.” She did not mention that the NRA’s opposition to using the no-fly list for background checks has been echoed by similar opposition from The Washington Post, the Los Angeles Times, and CNN, all of which have aligned against using the no-fly list for gun control. The news outlets cited the list’s imprecision and the fact that using such a list tramples the Due Process rights of Americans. The Boston Globe also voiced opposition to using the no-fly list for gun control but took a different tack in so doing. The Globe simply asked why people who are too dangerous to board planes–or thought to be too dangerous to buy guns–are allowed to mingle with the rest of society, to begin with? If such people were simply arrested–or deported, when applicable–it would both increase the safety of Americans and remove the need for more laws/regulations to keep no-fly listers in check.